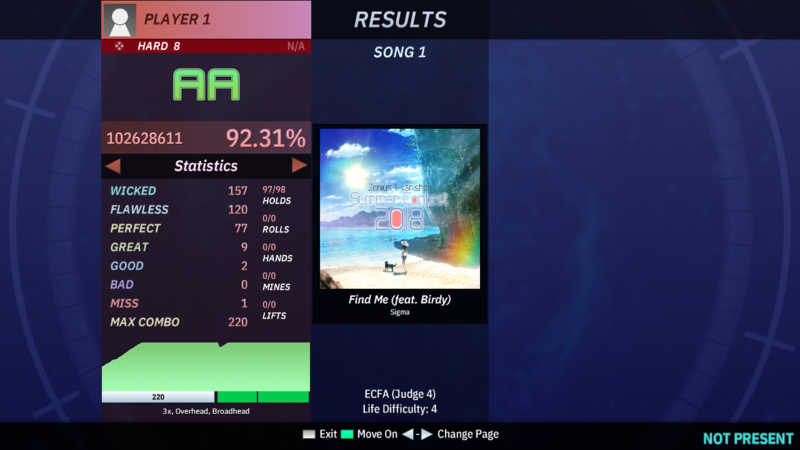 Some of you have probably been wondering what's been going on with StepMania lately. 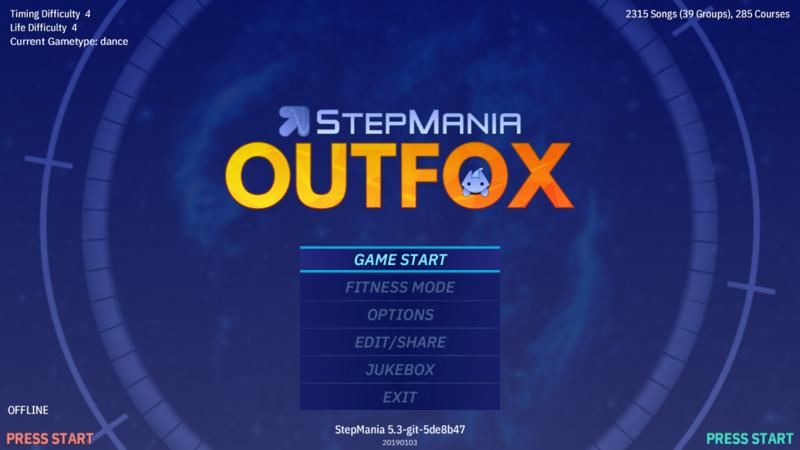 Well, right now, in private, me and some other new developers have been working on the first stage of a major overhaul - which we (in the grand tradition of giving rhythm game releases increasingly elaborate subtitles) have dubbed OutFox. A. Going through the backend C++ code and optimizing it better. A lot of this code is literally ancient history, especially the graphics engine. Uncapped FPS is our main metric. One of our coder's main benchmarks is a joke simfile that is just a gigantic mess of notes, played at 2.0x rate. You might have seen previous videos of "impossible" SM files where the autoplay misses; here, it doesn't, at all. The team has a dev blog and changelog here; a few recognizable names are involved as well, including Mr. ThatKid, Jousway, and Jose among others. We plan to have a public beta build out sometime next month. Man, this looks freaking epic. 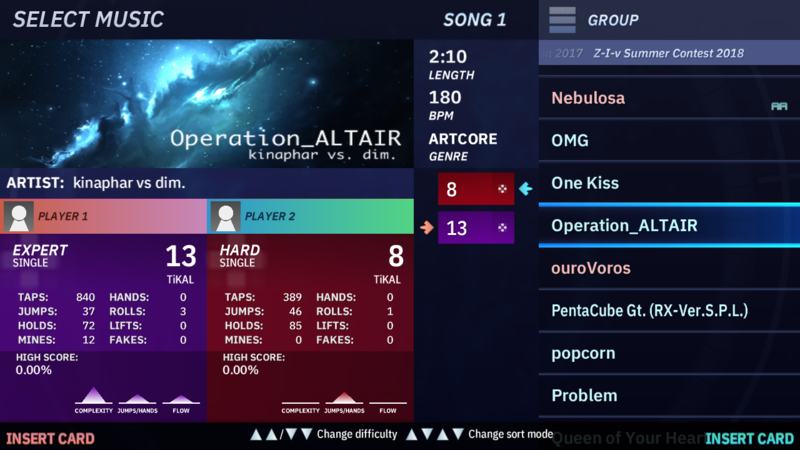 Glad to see StepMania is still in active development. Thanks for putting my lil' boi Kagamine Len there. lol. I made that model for StepMania a couple of months ago, but I (and the rest of the team) use it a lot (along with other ones I made) for testing character features. 1. The "wicked" is produced by a timing mode called ECFA (an ITG tournament format that adds a tighter window above the usual Fantastic window). You can actually pick between various timing window sets in the player settings menu. 2. And yes, we added judgement selection too like SL. Unlike SL, it's theme-independent: loads them from a separate folder outside of the theme. Thank you, all of you, for continuing to work on this. Excellent news; I was beginning to get worried again. Most of those autoplay miss videos were recorded on 3.9 though (I remember SM5's autoplay being much better). As for benchmark files, I'm partial to x-Aria off Splash Mix 3 if you want to expand your collection (it's packed with BPM changes). See if you can get AutoPlay to get through the joke simfile "Dear Arch," another impossible SM file. I'm pretty sure the file rytak made is worse than Dear Arch. Especially given that all the settings he used (C5 speed mod, 2.0x rate) basically put the entire mass of arrows on screen at once. However we do not want 5.3 to be forever known as "the SM version whose autoplay can pass Dear Arch". I would like to see something more impossible than Dear Arch or even rytak's file for testing purposes. But like I said, it is not just about this. 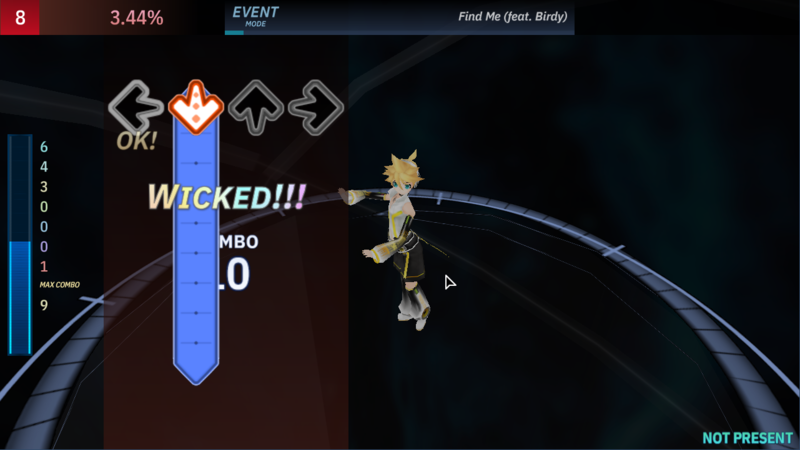 A long time ago someone added a replay saving feature, where the game would save information on timing and judgement for each note in the song as well as some metadata to an XML file. This feature was apparently left unfinished and forgotten, and when years later people started putting judgement scatterplots on their results screens the data was collected in-theme using Lua. To me it seems a waste to collect all that data only for the theme to collect it all over again, so I was wondering if there were any plans to do something about this. I'd name the FA+ window "Outstanding"
which we (in the grand tradition of giving rhythm game releases increasingly elaborate subtitles) have dubbed OutFox. What if these subtitles became "episodes" titles, like IIDX is doing for years ? what will the requerements be? will it run on my stone age PC? Just going to ask, but will it be possible to program multiple story modes like that of DDR Mario Mix? Also, will there be a new model structure standard for this new release? Will there be model conversion standards from the old to the new as well? Regardless, I will be looking forward to this. Keep up the good work. First of all, aren't story modes already possible through complex theme and simfile LUA? Like in UPSRT? And then for the models, I don't know if anything much is changing, but perhaps models in SM5-based modded files will still work in 5.3. I still think it's best a developer answer this one, but that's what I'm thinking is going to happen based on what the developers have been doing to 5.3 that I've seen.